Every now and then you come across people that evokes something in you. 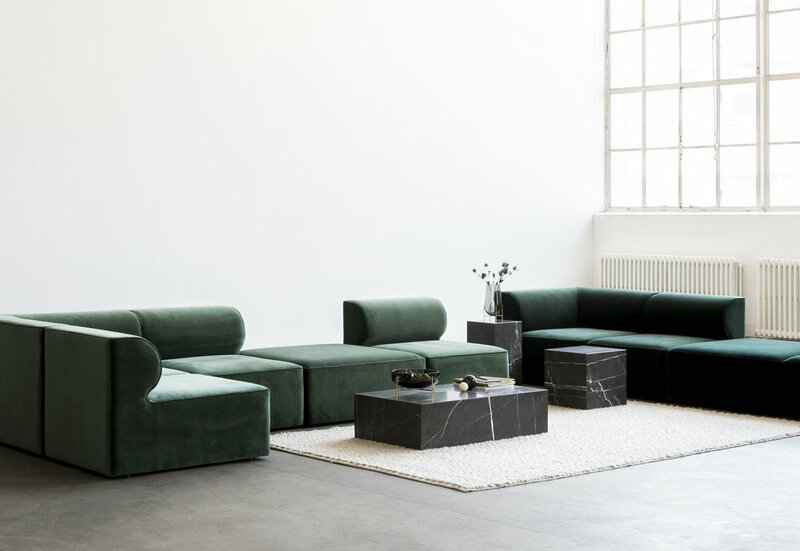 For me, one of those people are Frederik Alexander Werner - A Danish designer based in Copenhagen, who at the age of 30 has already made his mark in the world of Scandinavian design. With his immaculate eye for details and his hunger for exploring and discovering new ways of thinking about design, his creations are honest and beautifully minimal with a timeless aesthetic, making more room for function and form. 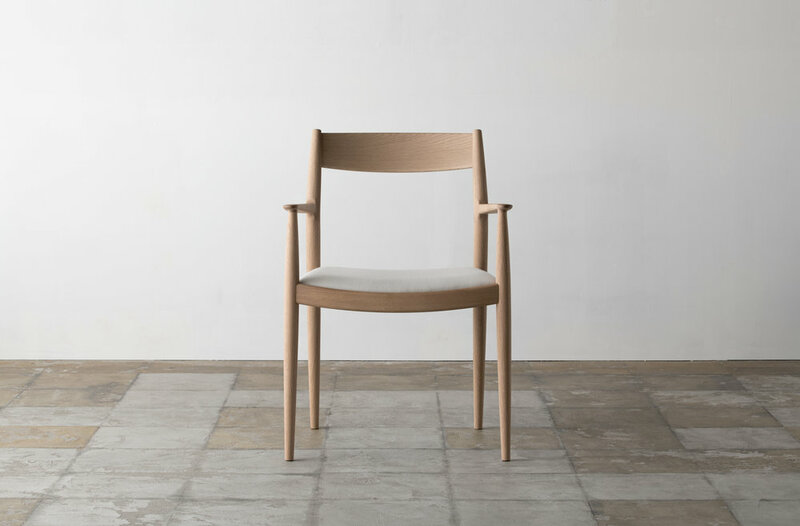 Having connected with the founders of Norm Architects during his studies at The Royal Danish Academy of Fine Arts, Frederik was indeed set out to do great things from the very start of his career. 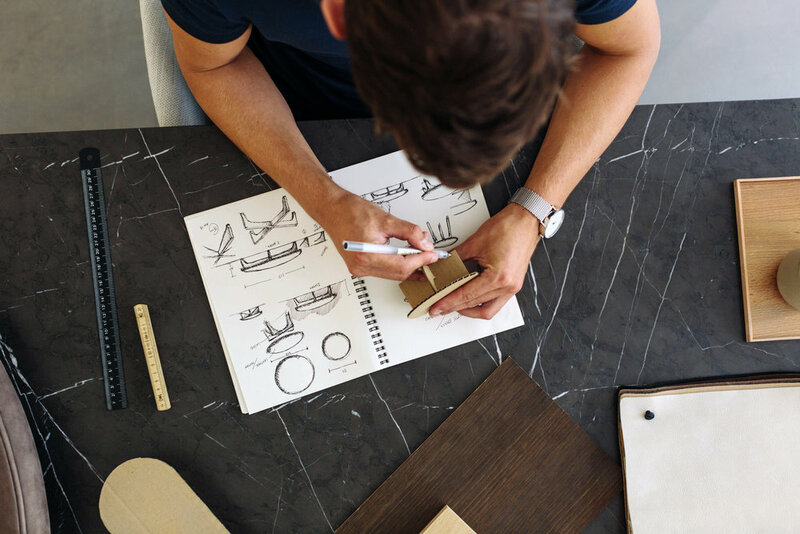 From then, up until today, Frederik is not only an Associate Partner at Norm Architects, but also a Design Consultant at the renowned Danish design brand Georg Jensen. Being an admirer of Frederik’s work for for quite some time now, I feel honoured that he has taken the time to be interviewed here on Scandinavialist. Have a good read below for an in-depth insight into a true designer’s mind and methods. 1 // Who are you? And what surprising fact can you reveal about yourself? My name is Frederik Alexander Werner and I am designer and associate partner in Norm Architects. 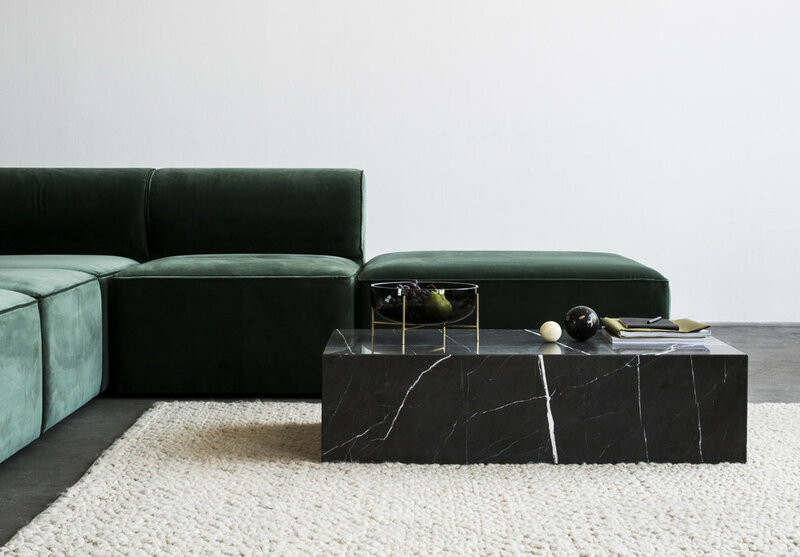 My main focus lies within our furniture and product department, where we create anything from large scale contract market collections to one-off and non commercial exhibition pieces. In private, I actually collect a lot of different furniture and bits and pieces. It's not as clean, tight and minimalist as the style of Norm, but being surrounded by things I find inspiring helps me to get into the right workflow. 2 // What was your biggest dream when you were a little boy? I can't remember if I ever dreamed of being or searching for something very specific. I have always been sketching and building things, but it wasn't until after high school that i found my path towards design. I like to know how things are put together, how to fix it and how to improve it. So finding myself within this field of work, meant that I suddenly had the chance to combine the understanding of crafts but with a more sculptural approach. 3 // Can you give us a little insight into how your career journey has been? During my studies at “The Royal Danish Academy of Fine Arts, School of Design” I started an internship at Norm Architects. At that point the company existed only of the two founders, Kasper Rønn, Jonas Bjerre-Poulsen and few other interns. During this period we developed some of the first furniture collections for the studio, which seemed to give birth to more and more projects alike. When I returned to the studies I combined my school projects with Norm briefs, in that way seeking to create projects that there was a real need for. This approach motivated me so much more, as the potential for these products finding its way to the market would be much bigger. It gave me the chance to get professional sparring and when my studies ended it was kind of a smooth transition, as there was already more projects in pipeline with Norm. At the same time I was given the opportunity to work with Danish design brand “Georg Jensen” ( GJ ). This meant that I split my week between these two companies. Working two days a week at GJ together with Design Manager Sanne Lund Traberg on the larger inhouse design collections, as well as optimizing external designer concepts so that they would match the brand and production in the best way possible. The remaining three days was spent on projects with Norm Architects, on a partnership deal, which meant that I had to control the design process and communication for each of the projects I was involved in. Nowadays I use all my time on Norm related projects, more and more of them are abroad, where we attend a wide range of different workshops - building new relations and getting a better understanding of how life and work are managed in different cultures, which seems to be an ever evolving thing and a constant source of inspiration for me. 4 // Could you describe in more detail what your role at Norm CPH is? I am the lead designer on a large part of our furniture projects. Together with the other partners, we come up with the overall design concepts, which I then take into the more detailed stages of the design process and then communicate them to the client. Workshopping, sketching, 3D modeling, model making, presentations and prototyping with the clients and manufactures are a normal part of my day. We are a small but focused team and we seek to have as much one-to-one time with our clients, as one day at the factory will save you a week or even a month behind the desk. 5 // What inspires you? And who is your biggest design hero? I get inspiration from all sorts of things - Sculptures, nature, a feeling or a mood. But one thing weighs heavier than the rest and that is the different cultures I get to experience. I get so much inspiration from the people I meet, the way they live and the mindset they have. It inspires me to better understand their world and the heritage they bring. Furniture design has become my way to get to know these different cultures and there really is a big difference in furniture design depending on where you are in the world. The best things have a story, and finding or creating these are essential for a product to have a long life. When it comes to the question of a hero, there is only one real hero and that is nature it self. Even though it may seem like a cliché, this is the one thing that tells you what's in balance and what's not. Nature becomes the guideline for the majority of elements in our work, as the colors, shapes, materiality, light and shadows in our opinion should feel natural and not the opposite. 6 // How does your design process from idea to finished product look? Well there is some phases that I always go through - that being the concept development, finding the inspiration, sketching, 3D modeling, model making, technical drawings and prototyping. But what we strive to do as much as we can, is to be on site and hands on with the manufactures, getting to know their strengths and weaknesses, understanding what they are capable of producing, where to push and were to hold back. Everything can seem possible from behind the screen, but getting to know the real skills of the people you work with, creates products that are much intelligent and long lasting. 7 // What is your favorite part of this process and why? There is probably small parts of every phase that is my favorite. It really depends on the mood I am in. Sometimes the best part is finding the right inspiration for a project. But if i doesn’t come easy, naturally it becomes the most difficult part of the process. But that’s how the process generally unfolds, with ups and downs, success and failure. I am also very passionate about sketching, so I sketch a lot! The sketches often allows people to look at your ideas in a more “dreamy” way, which allows them to use their imagination to add materials, colors, and textures, which in turn gives you the best possible feedback. It also contributes to the sense of creating a project collectively. 8 // What is your future aspirations and where do you want to be 10 years from now? I hope to be as interested in and curious about design as I am today. I would like to work towards a life where I can combine my hobbies and interest with my career as much as possible, as well as mastering what skills I set out to learn and hopefully one day being able to give those skills back to others. I have always been fascinated by the thought of finding the essence of a product or piece of furniture and it's my belief that if this is achieved, the lifespan of these products will be much longer. I might not have one single goal with what I do, but I aspire and strive towards creating products that are long lasting, tells a story and makes a difference for the user. On a personal level I would like to live my life with as much freedom as possible. 9 // What is the best advice you have ever received?